Google’s Doodle, today marks the World Earth Day on 22nd April 2018. Google is celebrating it with a renowned ethnologist and conservationist, Dr. Jane Goodall, to deliver a message of hope about our planet’s future in a 1:45 minutes video of a ‘Do our part for this beautiful Planet’. The World Earth Day is celebrated globally every year on 22nd April with an aim to establish & enhance awareness among people about environmental safety as well as to demonstrate the environmental protection measures. The World Earth Day also marked as ‘International Mother Earth Day’ as a common expression for the planet earth in a number of countries and regions, which reflects the interdependence that exists among human beings, other living species and the planet we all inhabit. 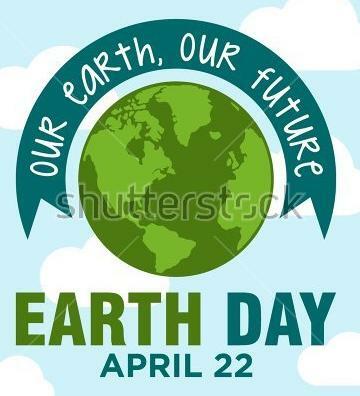 On World Earth Day, people from all over the world celebrate earth day with great enthusiasm and interest on each 22nd of April since 1970 to save the natural assets of their earth. This year, World Earth Day-2018 will be celebrated with the theme 'End Plastic Pollution'. The World Earth Day-2018 theme chiefly aims to appeal people around the world to come together and explore sustainable alternatives to reduce the production and excessive use of single-use plastic that is polluting oceans, damaging marine life and threatening human health. The World Earth Day was first celebrated in the year 1970 and then started celebrating annually on the global basis by almost 192 countries. In 1969, there was a peace activist of the San Francisco named John McConnell who actively involved in starting this event and proposed a day to get together for the environmental safety.